This is not therapy-but instead a way to find solutions that are simple, begin immediately and emphasize your present level of self knowledge, skills and experience to creative positive change and become more emotionally and physically healthy! How can horses help me live a longer, healthier life? 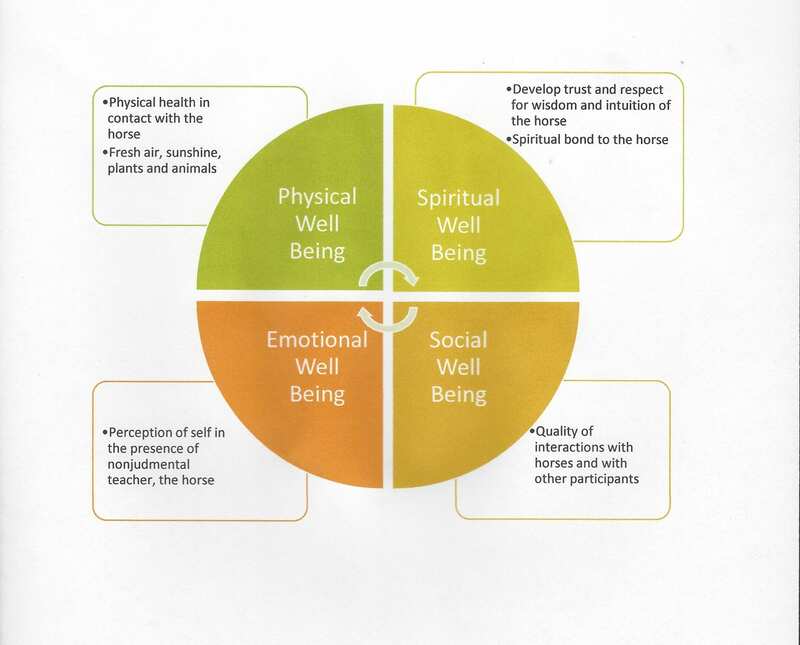 Physical Well Being– Working with horses does require some physical skills but mostly it requires that you have more awareness of your body as you interact during simple activities. Where am I in my body? Focusing inward and noticing where you are in your body helps you to become skilled at being present, fully centered and aware of your internal and external environment. Emotional Well Being-When you are fully present, you will increase your self awareness, reflected in the immediate nonjudgmental feedback of the horse during your interactions. Being able to WATCH AND WITNESS what is happening allows you to choose the feelings that you wish to experience. 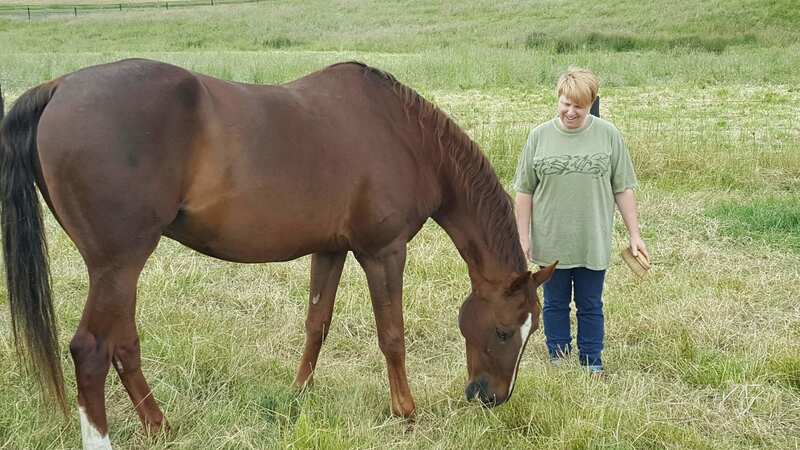 Spiritual Well Being-You will develop respect and trust during your time with the horse while creating a bond with another being who has no expectations, judgments or criticism. 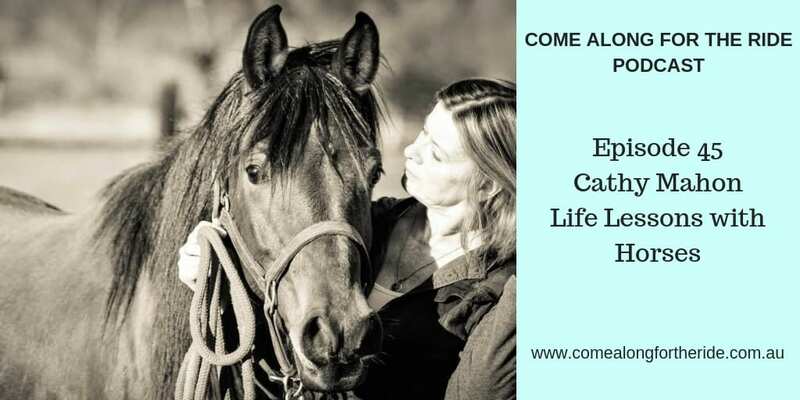 Horses teach you that being a part of something bigger than yourself is the key to feeling connected and creating strong communities in your life. Social Well Being-The quality of your interactions with horses and other participants reflects your ability to be vulnerable and open to others. Horses will teach you that you can be accepted and loved for who you are in all areas of your life. …then we can’t wait to meet you! 10% Off For Group Experiences thru May 2019! 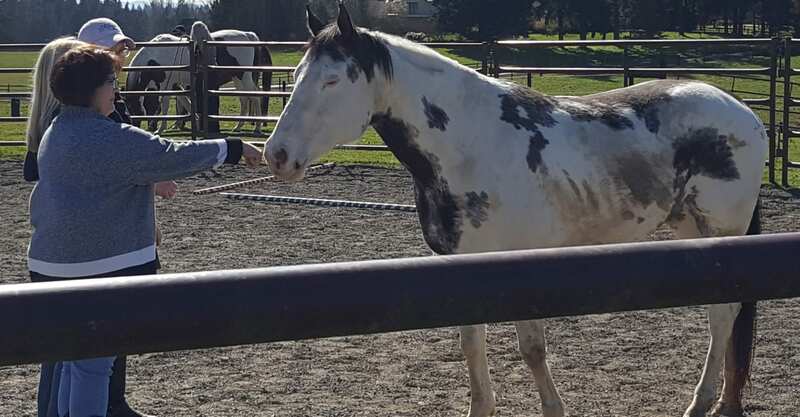 After deciding you are ready to commit to spending time with the horse as teacher, you will meet with your coach and facilitator to create a program personally designed for you. Students with a high level of self awareness, interested in devoting time and emotional energy to make positive change in their life will find these lessons inspirational and LIFE CHANGING! 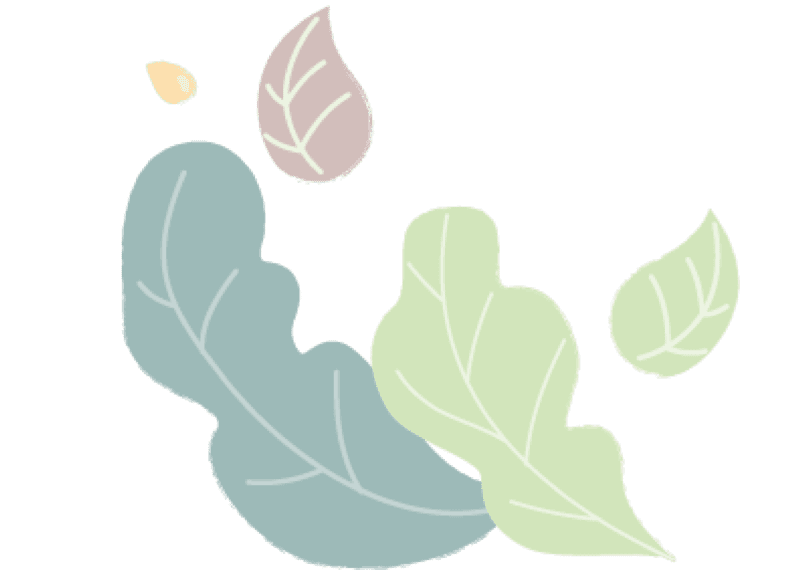 We offer classes for groups with specific interests, challenges or goals and design a unique, educational gathering that allows the group to set the standard for accomplishment. This shared experience opens up a deeper awareness with guided reflection that strengthens and clarifies the experience. Discover what it takes to be a real leader in your community, school, office or organization as well as in LIFE from the one creature who understands the importance of individuality, connection and consistent behavior. 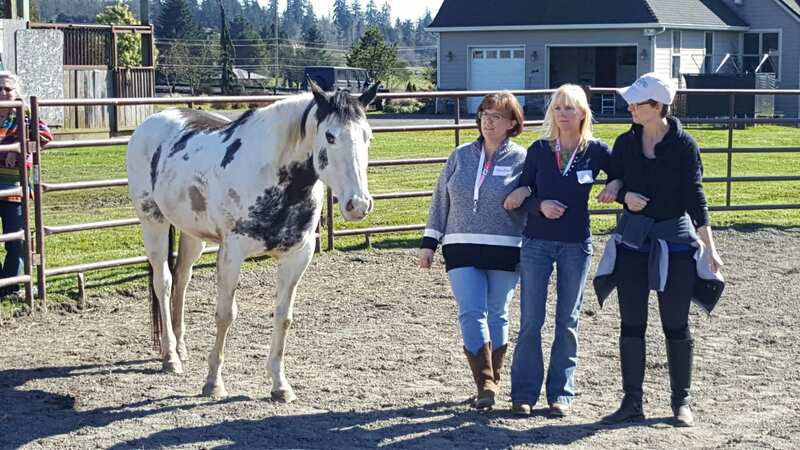 With the horse as your teacher, you’ll understand how to capitalize on skills like problem solving, assertiveness and communication, with unique activities for team building. No. 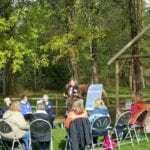 The workshops are not about horsemanship, training or riding. The horse is a facilitator for learning because of its unique characteristics (described below). 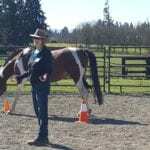 You will have an experienced horse handler available to assist you at all times during the workshops. Why do you use horses? Horses accept people for exactly who they are and what they present internally and externally IN THE MOMENT! A safety demonstration is given before each session and the horses used in the workshops are trained to work safely around people,including our smaller pony. If at any time during the activities you feel unsafe or wish to observe only, you are encouraged to notify the staff for help in leaving the arena. Remember you are dressing to work with horses. Wear clothes that can get dirty and closed toed shoes with sock-no sandals, no exceptions. WIll there be food served during group classes or leadership training? Yes. We love good food and are lucky to live in an area where fresh farm produce is readily available. We have a trained chef that creates delicious food for all of our FULL DAY class participants. Snacks and beverages are available all day. Please let us know if you have any food allergies. what about weather? What if i have allergies? Programs are held year round. In the Northwest, summers are warm but sometimes rainy. 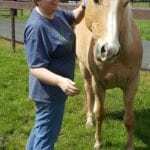 You will spend time in a covered but unheated arena as well as outdoors in a pasture or roundpen. Dress appropriately for the weather. It is best to layer during all seasons. If you have known allergies, please consult your health care professional for recommendations. We keep a clean environment, but it is a farm with animals and plants. What are the highlights of the experience? Is E3 the same as therapy? No it is not the same. Cathy is trained as an educator, coach and facilitator. As a facilitator, her job is to keep the focus on the future, not the past, in the context of a learned skill, not an emotion or past event. Participants are asked to focus on a social skill they learned, a personal insight, or a life skill that may lead to personal growth and making positive change in your every day life. What training has Cathy completed that qualifies her to facilitate E3 Classes? Cathy has completed a certification training with the Equine Experiential Education Association(E3A) which is an international professional membership organization offering training, certification, business development and resources for the implementation of Equine Experiential Education (E3) programs by educators, coaches, professional development trainers and other facilitators. Cathy is also a certified (International Coach Federation) professional coach. How long are each of the activities with the horses? The activities are 20 to 30 minutes followed by reflection with questions from your coach/facilitator and integration of the knowledge gained into a plan moving forward in your life. Do i need to be fit or athletic to participate in the class? Will I be riding a horse? NO. There is no riding involved and any level of fitness is fine. If you can walk a half mile, you are fit enough to participate in the horse activities. If you have special needs and prefer not to walk, you can still be an active team participant. Anyone can enjoy learning from horses in this environment. what if i have experience with horses? Interestingly, people who love horses enjoy the classes because it gives them a chance to observe and learn from horses in a different environment. 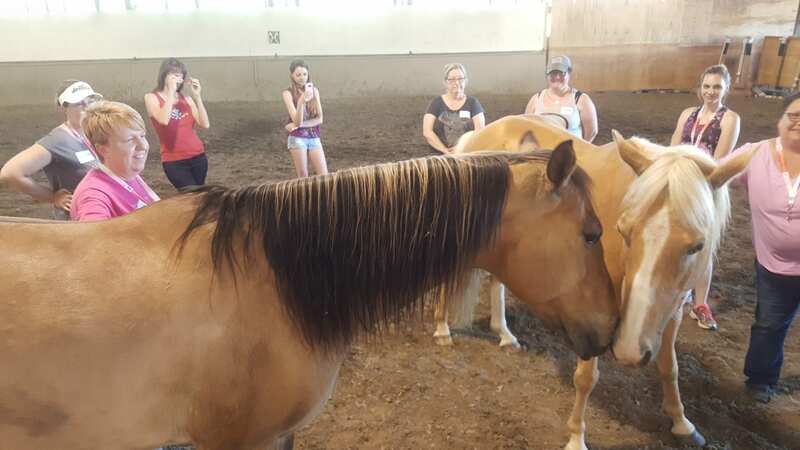 Our experiential teaching is not about horsemanship or riding; rather, you gain insights about yourself from horses, other participants and the facilitators. You get 360 feedback in real time!